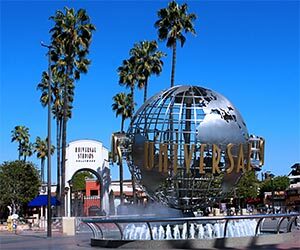 Universal Studios - includes hotel and admission to Universal Studios Hollywood, with Front of Line Pass available. Warner Bros Studios - includes hotel and Warner Bros Studio Tour. Explore the backlots, picture car vaults and view key phases of the entertainment production process during the tour finale - Stage 48: Script to Screen. Disneyland - nearby hotels are Days Inn Anaheim Maingate, Super 8 Anaheim, Ramada Anaheim Convention Center and Anaheim Rodeway Inn & Suites. Knott's Berry Farm - nearby hotels are Howard Johnson Buena Park and Knights Inn Buena Park. 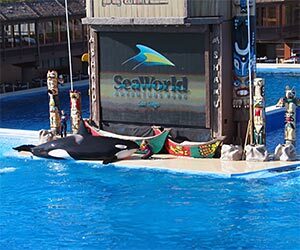 San Diego Vacation package - includes hotel and your choice from five San Diego attractions: SeaWorld, San Diego Zoo, San Diego Zoo Safari Park, LEGOLAND® California and Sea Life Aquarium. San Diego Zoo Safari Park - nearby hotels are Howard Johnson Hotel Circle and Quality Inn SeaWorld Zoo. SeaWorld - nearby hotels are Howard Johnson Inn Hotel Circle, Quality Inn SeaWorld Zoo and Americas Best Value Padre Trail Inn. 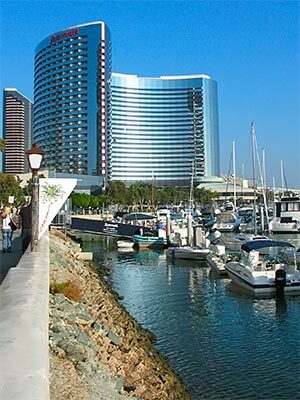 Includes hotel and admission to Aquarium of the Pacific in Long Beach. Come face-to-face with, and even touch, the ocean's ultimate predators in Shark Lagoon and hand feed lorikeet birds. Includes hotel and over 48 attractions: San Diego Zoo, LEGOLAND® California, San Diego Zoo Safari Park, the USS Midway Aircraft Carrier Museum, Harbor Tours, Whale Watching and more! Includes hotel and admission to Six Flags Discovery Kingdom, a combination wildlife park, oceanarium, and theme park. Discovery Kingdom features over 40 rides and attractions, including seven roller coasters plus wildlife shows and demonstrations, exotic animal encounters and more.